Find the differences for your chance to win! 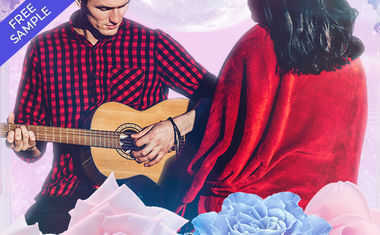 Welcome to Tarot.com's Tower of Mystery! 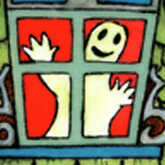 Below you'll see The Tower card from the Halloween Tarot deck. 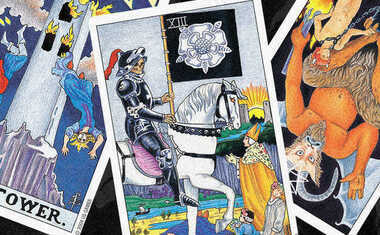 The card on the left is the orignal card ... but the card on the right is full of hidden changes for you to find! We made 16 hidden changes to the card -- why 16? 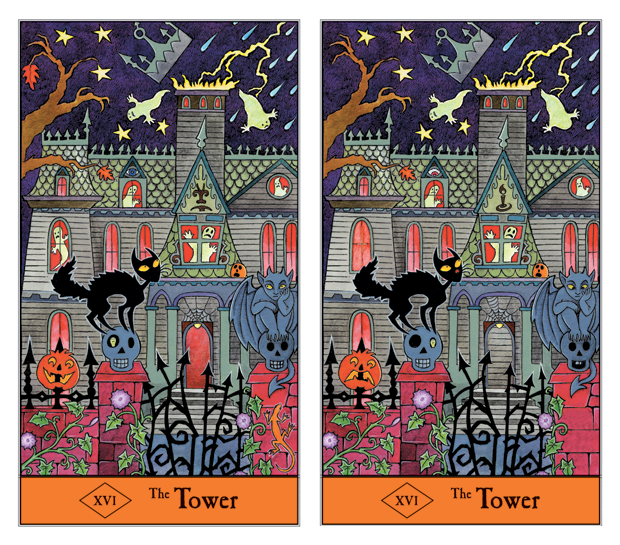 Because The Tower is the 16th Tarot card, of course! Can you find all 16 differences between these two cards? When you find all 16, email your answers to facebook@tarot.com any time between now and the end of Halloween night, October 31. On November 1, we'll pick one random winner from all the correct responses, and that lucky winner will receive 1,000 Orbs to use in our all-new Changing Room! We'll notify the winner by email, using the email address used to enter.